State leaders are proudly united in the belief that we must dramatically improve reading skills for our youngest students, since early literacy is the foundation for all of the skills and knowledge that come later. Our state has a remarkable history of bipartisan support for early childhood education. Both parties have worked together to make North Carolina a national leader in giving our youngest citizens a strong start in life. It’s time to build on these successes. While North Carolina ranks first among states in the quality of early childhood care, we rank 41st in availability. 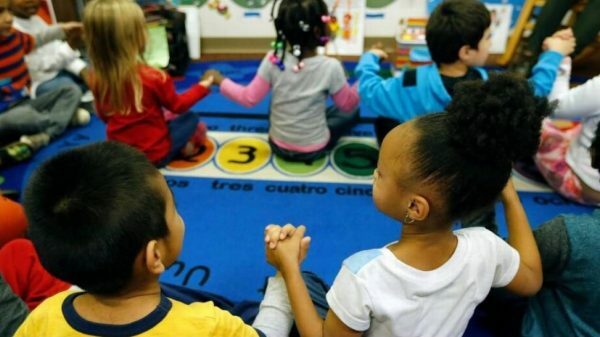 More than 30,000 young Tar Heels are eligible for N.C. pre-K, but don’t have funding. There’s a mountain of evidence that shows how effective these programs can be for students fortunate enough to take part. A recent study by Nobel-winning economist James Heckman looked at the long-term outcomes for North Carolinians who benefited from strong early childhood programs in the 1970s. More than three decades later, the impact persists: they have better academic performance, better health, higher average incomes, and fewer run-ins with the law. Last month, the New York Times Magazine pointed out that North Carolina was the site of some of the earliest and most influential research on the effectiveness of early childhood education, helping transform our understanding of how young children learn. We’ll be talking about that legacy at next week’s Emerging Issues Forum in Raleigh, and working with some of the state’s most influential leaders and top education specialists to map out a better future for all of North Carolina’s kids. Business titans like Jim Goodnight of SAS, Venessa Harrison of AT&T and Jim Hansen of PNC Bank will advocate pre-K access as a workforce development issue, and Blue Cross-Blue Shield NC and the NC Early Childhood Foundation will show how family-friendly workplaces can strengthen competitiveness. To provide the comprehensive care that our children deserve, we need everyone at the table. Philanthropies like the Duke Endowment, the Kate B. Reynolds Charitable Trust, the Belk Foundation and others across the state are helping communities big and small pilot smart reforms to their early childhood initiatives.